US Open: Will Dustin Johnson Realize Major Potential at Oakmont? Will Dustin Johnson Realize His Major Potential at Oakmont? One more week and Dustin Johnson won’t have to answer the same old question. You know, the one about how it feels to lose the U.S. Open and whether he is over it. A room full of journalists laughed along with Johnson. So is he over Chambers Bay? He cracked a joke. He owned it. He has since played 19 events. So in his words, Yeah. Johnson is 6' 4" and 190 muscular pounds of uncomplicated. He appears to have put that loss behind him as easily as he dunks a basketball. If something fazed him, we would’ve noticed by now. Like when he lost the lead and his composure in the final round of the 2010 U.S. Open at Pebble Beach en route to an 82. Or when he missed a playoff two months later in the PGA Championship at Whistling Straits after he drew a penalty for grounding his club in a fairway bunker on the 72nd hole. He was one shot off the lead in the final round of the 2011 British Open at Royal St. George’s when he blew a 2-iron out-of-bounds on a reachable par-5. 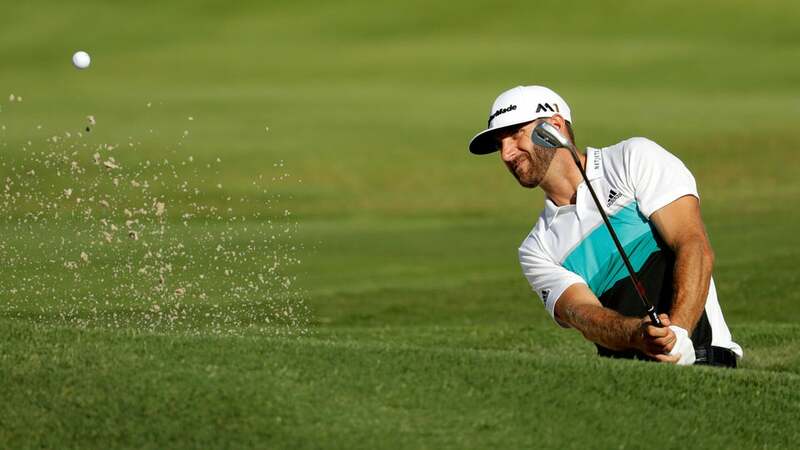 Last year he led the British Open at the Old Course after two rounds, but strong winds and waffling officials who waited too long to stop play seemed to bother Johnson, who plummeted with a pair of disinterested 75s. Related: Is Oakmont Really the Toughest Major Venue of All? One of the game’s most powerful hitters, Johnson remains a tantalizing tease of potential—see those five coulda-shoulda-woulda majors that slipped away. Johnson had 10 birdies during a first-round 64 at the Memorial. Scoring conditions were perfect, but he made the game look like child’s play. He was tied for the lead at the turn on Sunday before finishing a shot out of a playoff, which William McGirt won over Jon Curran. Johnson is otherwise in a great place in his life. He’s happy, he’s the father to a baby boy with Paulina Gretzky, and they’re arguably golf’s most photogenic couple. Dustin turns 32 on June 22. Phil Mickelson didn’t win his first major until 33, and now he has five. Johnson still has time, but besides carrying the Best Player Who Hasn’t Won a Major tag, he carries the label of being seen as an outsized talent. When Johnson left Royal St. George’s, his offending 2-iron became two clubs after a rare moment of anger. Then Johnson took that club and did the same thing he did after Chambers Bay and all the other disappointments. He left it behind. Oakmont awaits. It is next, and he knows as well as anybody, it’s all that matters.